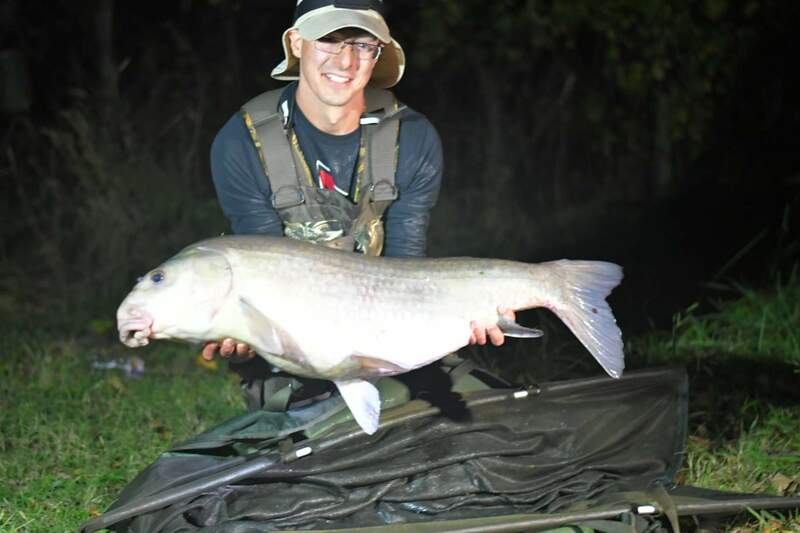 Register Log In Texas Fishing Forum Forums Rough Fish / Carp New PB! 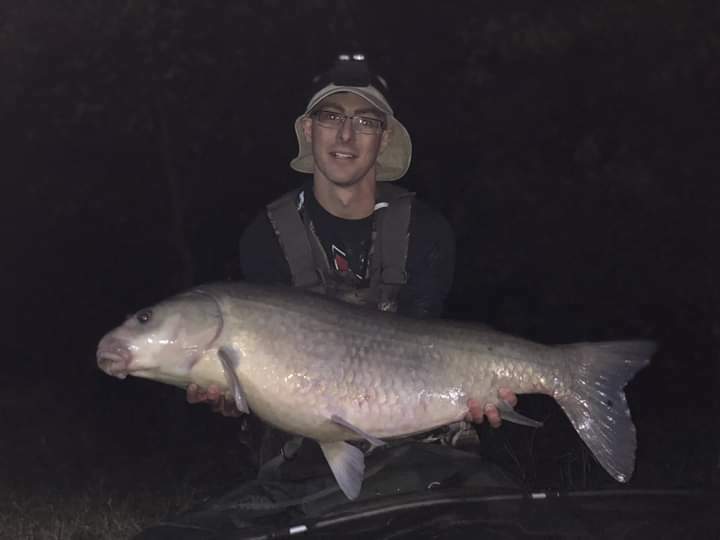 Had the privilege to meet up with a bunch of experienced carp anglers this weekend, and got lucky enough to land a new PB in the process! The 5 hour drive turned out to be well worth it. Action was slow, but that gave me the opportunity to learn from the masters. When we did get a fish it was usually a good'n! As always, all fish were released to fight another day. My first buff of the trip! 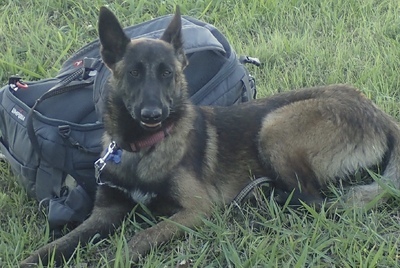 Others had already had some around 30lbs, so I didn't bother to weigh him. 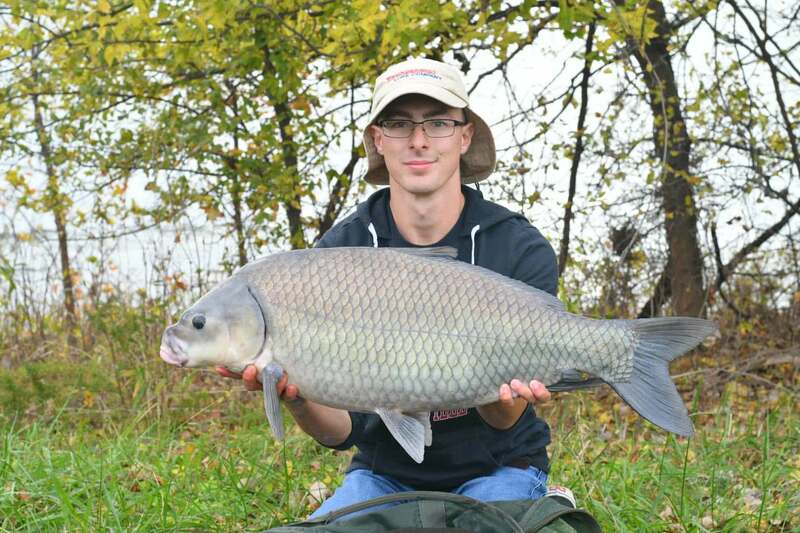 The bigger of two commons I had the whole trip, this lake isn't known for big carp but the buffs are massive! New PB! 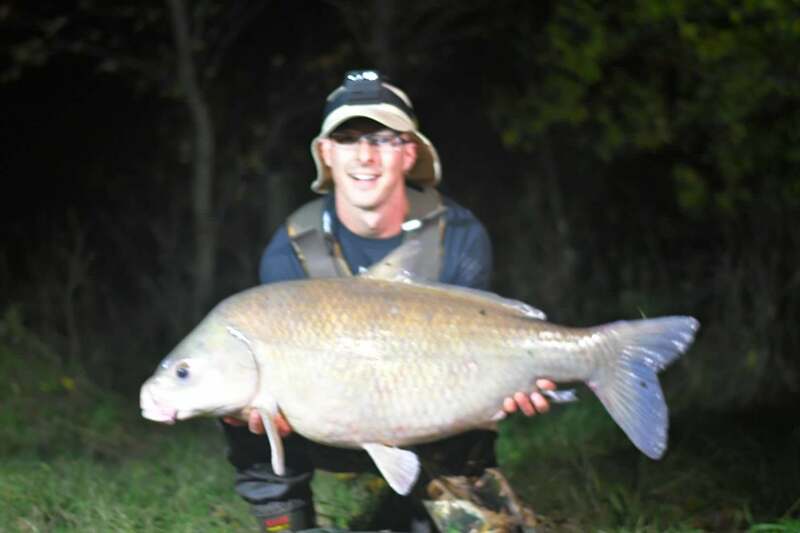 This incredibly heavy fish (I could hardly lift him) ran 37lb on the dot. I struggled to lift him the first time, repositioned and got him into the proper carpy pose (pic 3), but wasn't able to long arm him to make him look even bigger, lol. I need to hit the gym, these fish are starting to get heavy! My last buff of the trip, a solid 28lb fish. Lifting this one was a breeze compared to the brute the night before! Gorgeous fish, gorgeous views, and great company. Couldn't have asked for more! Solid fish for sure!! 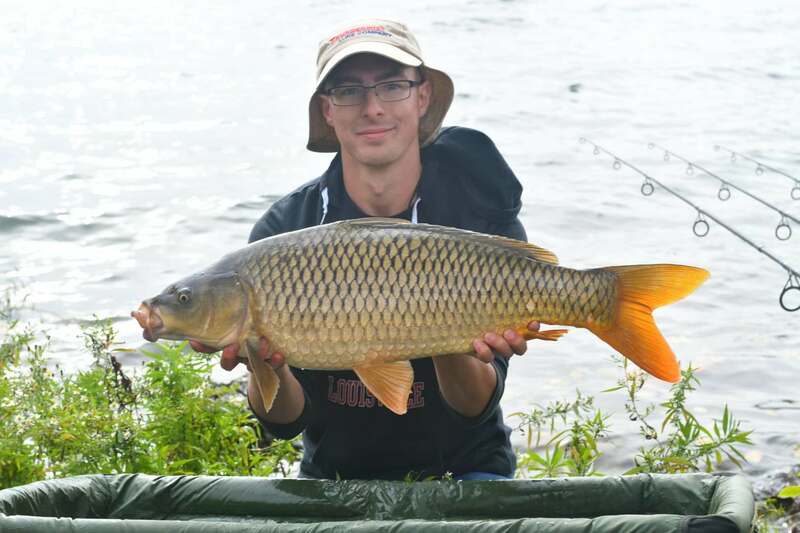 Can you provide information on bait and technique? Understood not sharing what lake. Got these on my ol' faithful method mix, chili oats. All but one of my fish came on a single tigernut topped with a popup plastic, running rig with a 3in hooklength, size 8 hook. and squeeze the water out of rocks when he was thirsty"
Congrats! Even though I catch carp by a little different method, all my biggest fish come from November thru early March during nice 2-3 day warming trends. The first 3-4 hours after sunset are killer during these periods. Not enough, lol! I don't think I've quite made it to a thousand but certainly a few hundred. My entire phone is filled with photos of carp. That's certainly prime big fish season. If you'd like, I wouldn't mind showing you how it's done on rod and reel. It's some of the most fun you can have! Congratulations on the PB! Nice fish! I appreciate the offer TX Multi, and I used to love carpin with a rod and reel. I grew up in West Texas and water was scarce. But any little creek you could find out there held carp. I've moved on to bass fishing or red fishing if around the coast. I've caught an 11.62# large mouth and want to improve on that. If I have time that's my focus. I do like watching what you and others are catching while at work and unable to fish, which is why I troll this rough fish forum. Keep it up! Thanks Dale, Pot Licker, and Banker! Toaster, I know of plenty who've dropped the bow for R&R. 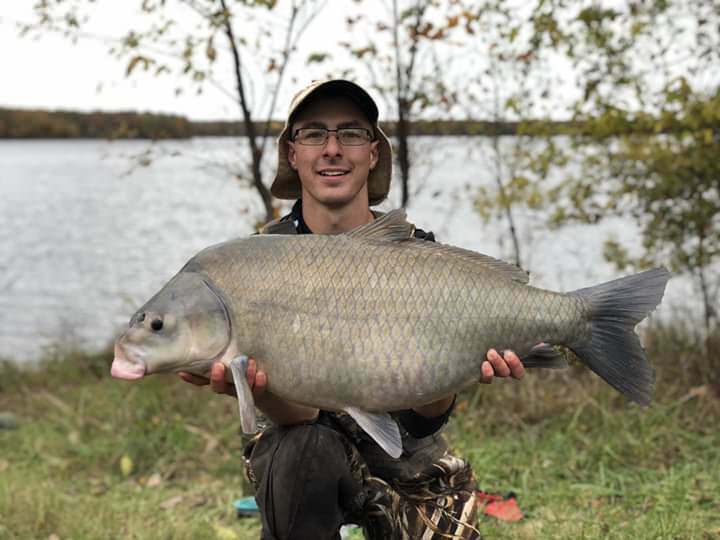 It doesn't have to remain as "used to enjoy carping," you could easily go from a troll to a regular poster of big, gorgeous carp. If you get some free time and the largemouth aren't having it just shoot me a PM and we'll arrange a session. Nice fish and CONGRATULATIONS on your PB! That fish is a CHUNK!